If you haven't read this series yet, you really need to! Not only can Sherilee Gray write the best tortured heroes but the way she can portray the heat and intensity between her main characters will have you fanning yourself. 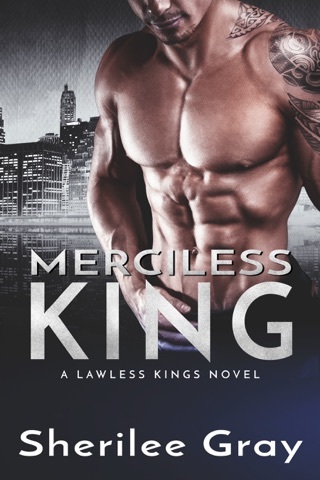 The men of the King Agency are all really good men who have had a rough past. Jude is an ex-cop who believed in the justice system until it failed his sister and nephew. He's tortured by the guilt he feels for not saving them. Because of this, he's the first one to put himself in danger for any woman or child who needs him. Willa has never been able to rely on anyone but herself. Everyone leaves eventually and now that she has custody of her niece, she is determined to protect her at all costs. Even if it means her own happiness. I absolutely loved Jude! As broody and unhappy as he started, he was so good to Willa and Tilly. Plus I have a thing for broody men. I liked Willa but she is also the reason this isn't a full 5 Star read for me. Because of her not being able to trust, she did a lot of pushing away. I get it but I also wanted her to trust him sooner. I'm so looking forward to Van's story and I'm pretty sure this book hinted to Thomas Mendoza's story. ARC provided by author.